The nation from Albania, Andorra, Antigua & Barbuda, Argentina, Australia, Austria, Azerbaijan, Bahamas, Barbados, Belgium, Bosnia and Herzegovina, Botswana, Brazil, Brunei, Bulgaria, Canada, Chile, Costa Rica, Croatia, Cuba, Cyprus, Czech Republic, Denmark, El Salvador, Estonia, Finland, France, Germany, Greece, Guatemala, Honduras, Hong Kong, Hungary, Iceland, Ireland, Israel, Italy, Japan, Kazakhstan, Kosovo, Latvia, Liechtenstein, Lithuania, Luxembourg, Macao, Malaysia, Malta, Mauritius, Mexico, Monaco, Montenegro, Netherlands, New Zealand, Nicaragua, Norway, Panama, Paraguay, Peru, Poland, Portugal, Romania, Russia, San Marino, Serbia, Seychelles, Singapore, Slovakia, Slovenia, South Korea, Spain, St Kitts and Nevis, Sweden, Switzerland, Taiwan, Turkey, UK, USA, Uruguay, Vatican City and Venezuela don’t need to enter to Macedonia for 90 days without visa as tourist. For further information please contact us. If you would like to enter and stay in Macedonia less than 3 months for purpose of holidays, short course, or business meetings, you can apply for a short stay visa. For further information please contact us. If you would like to enter and stay more than 90 days, you should apply for long term visa with some documents to show your purpose. For further information please contact us. 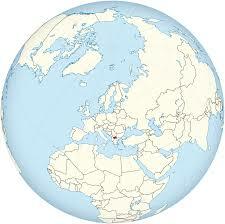 If you would like to study in Macedonia, you should apply in any university in Macedonia and get offer letter. Next with relevant documents, you should go to embassy to get a 3 months visa to enter and register in university or collage and deliver your passport to immigration counter in your collage to put in process for 1 year or more visa. For further information please contact us. If you would like to work in Macedonia country, you should find an employer there to interest to your experience and educational. otherwise, you should register a company and get visa as manager or employee. For further information please contact us. If you have money more than 400,000 Euros, you can invest in Macedonia to get citizenship if you hire and involve at least 10 employees. For further information please contact us. 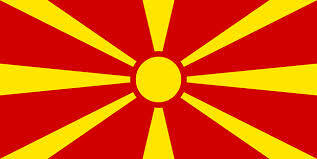 Macedonia landlocked Balkan nation of mountains, lakes and ancient villages with Ottoman and European architecture. The capital, Skopje, is known for its vast Old Town bazaar and historic buildings converted its museums, including the National Gallery of Macedonia, located in the Turkish bath complex of the XV century. The southern city of Ohrid, in a lake of the same name, has a medieval city landscape and a castle on a hill.